The robocalling problem just keeps getting worse and worse—last year, the Federal Communications Commission ordered telecommunications executives to start doing something about the problem, which one report in January 2019 estimated had exploded to the tune of 26.3 billion robocalls placed to U.S. numbers annually. And not even the people in charge of the nation’s wireless companies are immune, apparently. 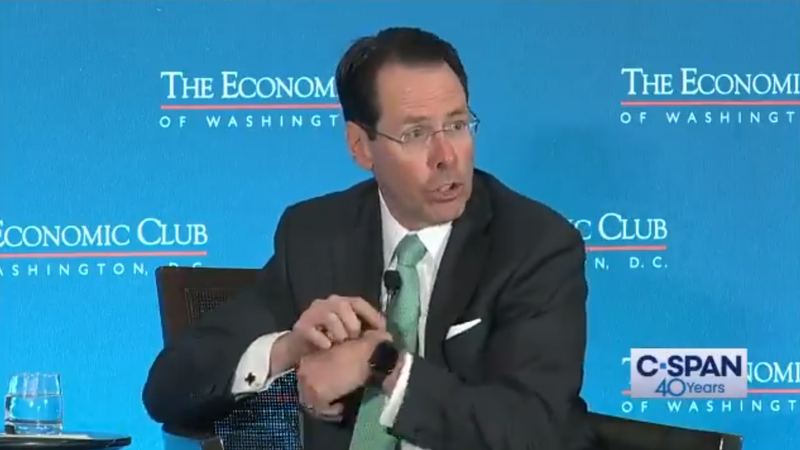 At an Economic Club event in Washington DC on Wednesday, AT&T CEO Randall Stephenson got dialed up, or certainly appeared to, in front of dozens of audience members. The Dallas Morning News reported Stephenson was there in part to bemoan DC bureaucrats who dragged out AT&T’s $85 billion ultra-merger with Time Warner (which, to be fair, there is some suspicion was more the result of Donald Trump’s feud with Time Warner subsidiary CNN). AT&T and rival Comcast actually just announced a partnership (supported by other industry players like Verizon, T-Mobile, and Sprint) intended to test new call authentication technology using cryptographic protocols named SHAKEN (Signature-based Handling of Asserted information using toKENs) and STIR (Secure Telephone Identity Revisited). Given the uncanny timing, it’s worth wondering whether this was a publicity ploy of some kind. On the other hand, it’s kind of embarrassing, given Stephenson heads one of the companies that let this problem spiral out of control. Anecdotally, I can tell you there’s no such thing as a good time to get one of these things, and have received them in the shower, on the subway, in the middle of other calls, during movies, and just when I’m starting to fall asleep.